The Tourist Information Centre on the High Street will answer all your questions about what's on, where to go, and what to do in the area. The ancient and majestic Minster, a centre for pilgrimage, prayer and worship for 1,300 years is only a short walk. The Tivoli Theatre, with its Art Deco interior, is a few minutes' walk. It runs a full programme of entertainment, being a cinema, theatre and a music venue. Kids and adults will love exploring the streets of the dinky Model Town - just up the road on King Street. A perfect scale replica (1:10) of Wimborne in 1950, each miniature building has been designed down to the last detail, allowing visitors to peer into the butchers, ironmongers and bakers shop windows crammed full of goods. The Priest's House Museum & Garden on the High Street is set in an historic town house where a series of period rooms takes the visitor back through the centuries. From the 17th century hall to the Georgian parlour and working Victorian kitchen, the rooms show what life and work was like for people in the past. Among some 15 pubs and bars in the town are the Butcher's Dog and the Tap House, both specialising in craft beers. For cocktail lovers there is the exotic Gin House with its oriental interior, for social cheese and wine try Renoufs. For great evening food on the doorstep book ahead for Friday & Saturday night pop-up tapas and social suppers in the Deans Court Café next door. Within walking distance is the superb Nepalese restaurant Rimjhim (v. popular - best to book), or for classic and modern British cuisine try the Minster Arms, the Tickled Pig or the Anchor at Shapwick (a 10-minute drive but highly recommended - best to book). One of Dorset's jewels is the beautiful and impressive Jurassic Coast. There are nearly 3000 miles of rights of way, providing some of the most breath-taking coastal and beach walks in the South West. A glorious slice of natural coastline in the Purbecks featuring a clear two-mile stretch of golden, sandy beach, with gently shelving bathing waters and views of Old Harry Rocks and the Isle of Wight. Ideal for water sports and includes the most popular naturist beach in Britain (discreetly tucked away in the dunes). Owned by the National Trust, Studland and the heathland behind the beach is a haven for native wildlife and features all six British reptiles. Designated trails through the sand dunes and woodlands allow for exploration and spotting of deer, insects and bird life as well as a wealth of wild flowers. Studland was the inspiration for Toytown in Enid Blyton's Noddy. If you are a member of the National Trust take your card for free parking. A 30 minute drive away is the lively sea side town of Sandbanks an area of the country that contains some of the most expensive land and houses in the world. Sandbanks itself is a small peninsula, and the place to go if you are looking for water sport activities. Numerous companies provide activities such as windsurfing, kitesurfing, kayaking, sailing, powerboating and offer the hiring of boats. Contact ‘The Watersports Academy’ on 01202 708 283, FC Watersports on 01202 707757 or Oceanos Watersports on 07828 650099 for more details. Sandbanks also boasts a large crazy-golf and mini-golf courses, a mini road train that cruises up and down the prom in the summer and open top bus tours. The beach on which Ian McEwan based his novel of the same title is located in Bridport, 40 minutes away. It is a pebble beach 18 miles long and stretches north-west from Portland to West Bay. It is a haven for amateur fossil hunters. Other beaches include: Kimmerage, Lulworth and Durdle Door with its cliff arch. Also Winspit and Dancing Ledge which are both a 20 minute walk from the Square and Compass Pub, Worth Matravers, where you can get a pie and pint and enjoy the owner's private fossil museum. East Dorset boasts a collection of beautiful houses and gardens open for the public to visit. 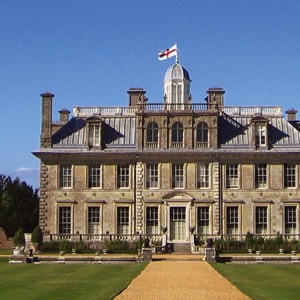 Home of the Bankes family for more than 300 years, this striking 17th-century house is noted for its lavish interiors. The outstanding art collection includes paintings by Rubens, Van Dyck, Titian and Tintoretto, with the largest private collection of Egyptian artefacts in the UK. Outside, stroll across the beautiful lawns towards the restored Japanese tea garden. There are several waymarked walks through the surrounding parkland, with its fine herd of North Devon cattle. The 8,500-acre estate is dominated by the impressive Iron Age hill fort of Badbury Rings. Near Kingston Lacy (1 mile further along the road to Blandford). A high and impressive ancient earth works with steep ramparts, originally iron age, subsequently used as a fort by the Romans between the 2nd and 4th centuries AD and subsequently by the Saxons. Now open to the public and good for an interesting short walk. Car parking available. National Trust. 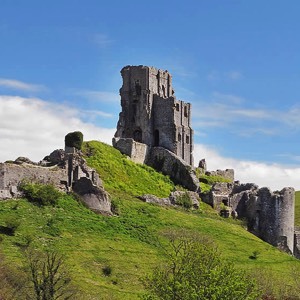 One of Britain's most majestic ruins and once a controlling gateway through the Purbeck Hills, the castle boasts breathtaking views and several waymarked walks. The attack on the castle in 1646 by the Parliamentarians left a towering ruin, and marked the end of a rich history as both fortress and royal residence. With its fallen walls and secret places, it is a place to explore, a giant playground for children of all ages. The crumbling ruins and subtle invasion by plants and animals, along with its almost ethereal quality as light and weather change, all contribute to the unique atmosphere of Corfe Castle. Note: steep, uneven slopes, steps and sudden drops. National Trust. An Island situated in Poole Harbour, Dorset. Brownsea Island offers a varied and beautiful landscape for enjoying the wonders of nature; from the patchworks of woodland, heath and grassy fields in the peaceful and secluded interior, patrolled by peacocks and haven to red squirrels, to the cliffs and beaches of the coastline, which offer breathtaking views across the harbour to the Purbeck Hills. This tiny isolated brick and tile cottage in the heart of Dorset was the peaceful retreat of T. E. Lawrence ('Lawrence of Arabia'), who died nearby on his motorcycle. The austere rooms are much as he left them and reflect his complex personality and close links with the Middle East, as detailed in a fascinating exhibition. Please note - only open 17th March till 30th August. The collection traces the history of the tank. With almost 300 vehicles on exhibition from 26 countries it is the largest collection of tanks in the world. Bovington was where the first tank crews were trained and remains the MOD's main tank training facility. Displaying examples of tanks from the earliest WWI tanks to late C20th examples, it includes a Tiger 131, the only working example of a German Tiger I tank, and a British First World War Mark I, the world's oldest surviving combat tank. If you are looking for a relaxing day time activity many local houses open their gardens to the public via the National Garden Scheme, a scheme that raises money for charity by allowing the public to visit beautiful private gardens. If you are interested in visiting a garden look up the Nation Gardens Scheme website at www.ngs.org.uk for more information on the gardens open in the surrounding areas. Poole and Bournemouth are the nearest large towns to Wimborne. Poole is a 15 minute drive away and Bournemouth a 25 minute drive. Both towns offer a shopping complex and a range of restaurants and actives, similarly Bournemouth has a large range of nightclubs and lively evening entertainment. 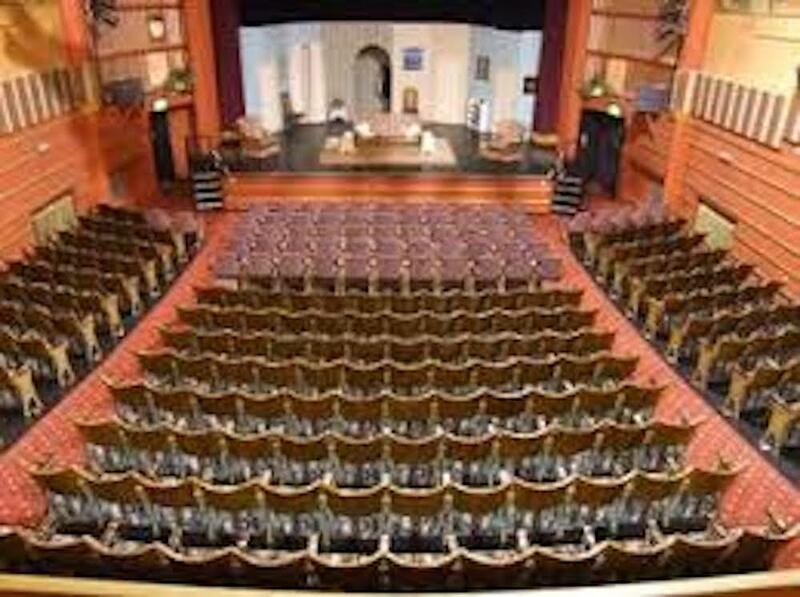 While Wimborne itself has the charming art deco cinema/theatre called the Tivoli, should you require a larger cinema and entertainment facilities, Tower Park, a 15 minute car journey away, offers a more comprehensive range of activities (post code BH214NY). Including a cinema, bowling alley, indoor water park, bingo hall, family amusements and casino games as well as a selection of places to eat and drink including Burger King, Chiquito, Georgie Porgies Buffet World, KFC, Marvin’s, Nando’s, Pizza Express, Pizza hut and TGI fridays. Within the Tower Park complex there is also a large Tesco. The nearest train station for trains to London is Poole, where trains generally run every half an hour. The service to London stops at Clapham Junction and Waterloo and takes approximately 2 ½ hours.